Cast Iron Bar | K.B. 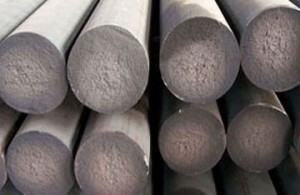 Elsmore & Sons Ltd.
Due to their complete freedom from normal foundry defects and their superior close grained structure, continuously cast iron bars have been extensively used for many years in the machine tool, hydraulic, gear and general engineering industries. K B Elsmore & Sons Ltd supply continuously cast bar in both grey iron and spheroidal graphite iron (SG) in a range of standard sizes. Sections supplied include rounds, squares and rectangles.